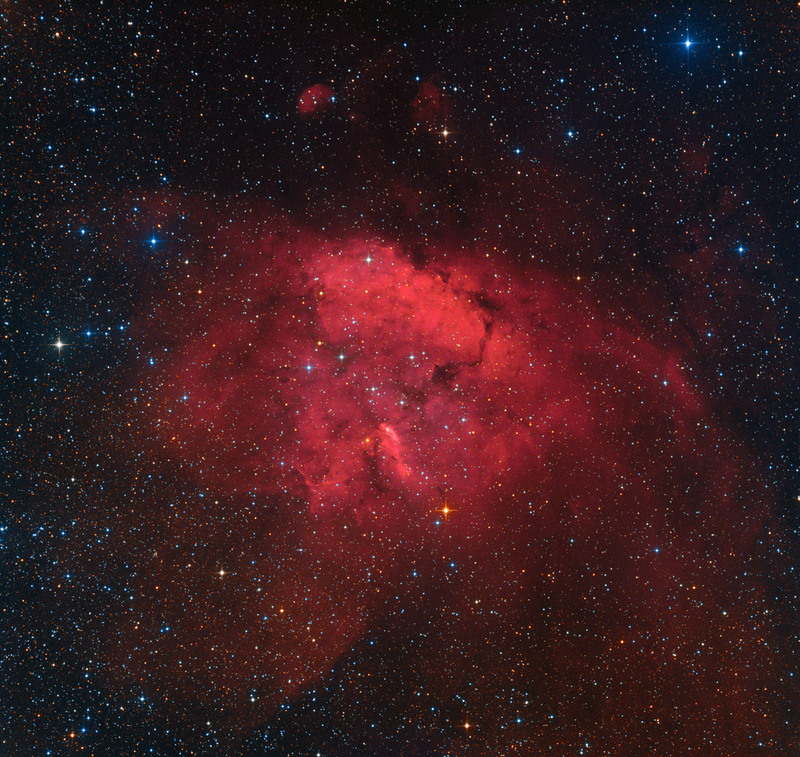 Gum 51 (Also catalogud as RCW 105) is an emission nebula in constellation Norma. 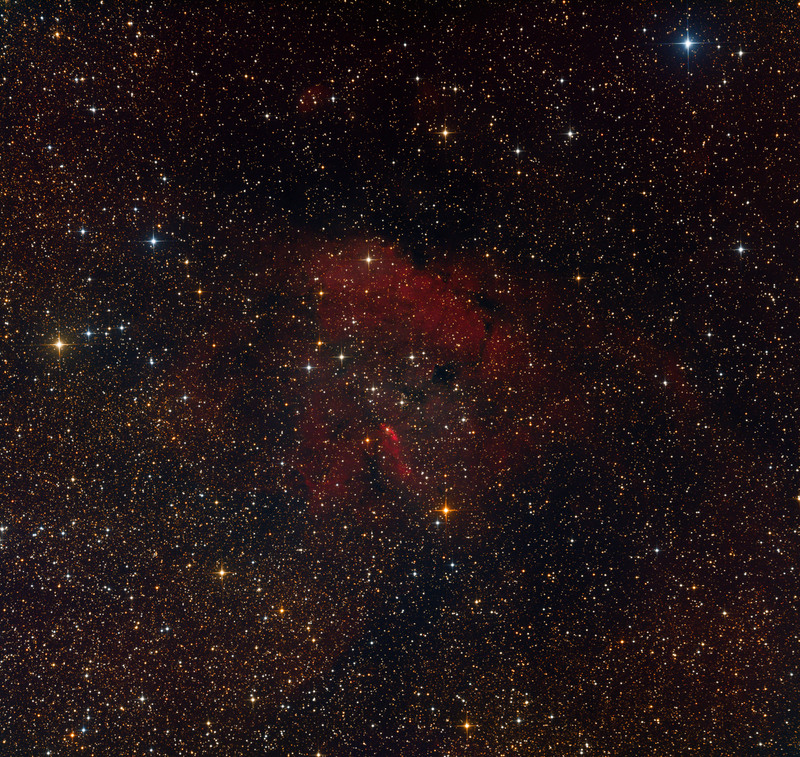 The nebula is surrounded by numerous small molecular clouds and is likely embedded in the compact OB association R105. An estimated distance for the R105 association is about 1580 parsecs and its age is 12.8 million years. 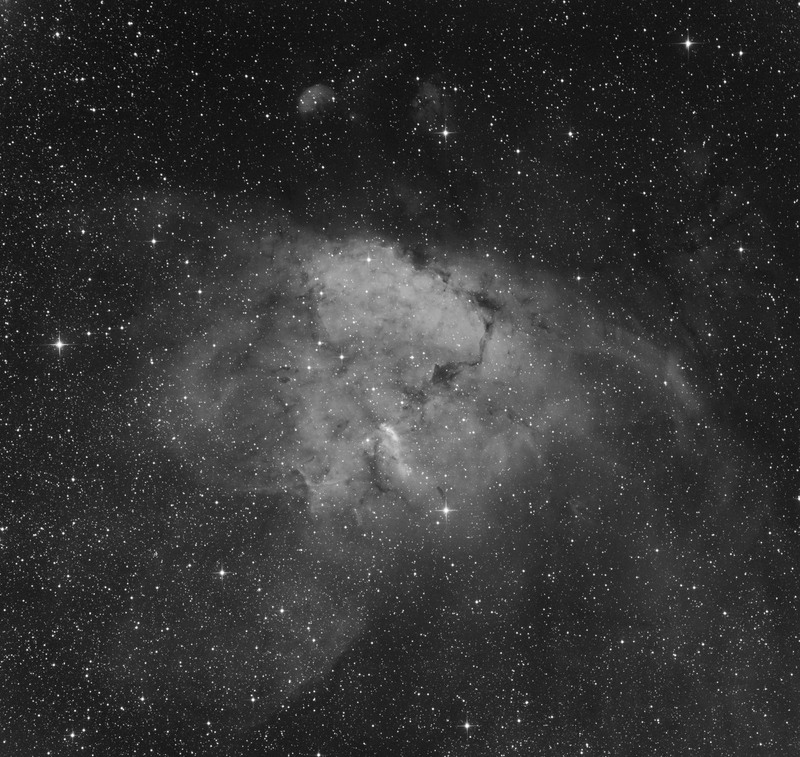 More detailed image of the same object, taken with thze 12" ASA Astrograph can be found here .